You have probably heard about avocado being a superfood and how good it is for your health. This is true, avocados are very healthy. The next time you are ordering that burrito, don’t forget to add some extra guacamole. As a matter of fact, heart disease is the number 1 killer in the United States. Heart disease is often linked to poor diet and lifestyle. Therefore, making the right food choices is essential. Avocados contain a low level of saturated fat and a high level of unsaturated fat, which has a positive effect on our cardiovascular system. Unsaturated fat in your diet also may help to lower LDL cholesterol (bad cholesterol), maintain HDL cholesterol (good cholesterol). Furthermore, eating avocado can improve your insulin sensitivity. In addition to good fats, avocados also contain a great variety of nutrients, including antioxidants. This fruit may help prevent inflammation and oxidative stress in the blood vessels while improving blood flow. Would you ever think that eating fat will help to lose fat? Recent studies show that avocados help to maintain a healthy Body Mass Index (BMI). Avocado in meals helps to extend the feeling of fullness and reduce the desire to overeat. Each fruit contains about 14g of fibre, which helps to reduce your waistline. Avocados give our body numerous phytochemicals that may help prevent cancer. The fruit contains elements that have been known to decrease rates of oral cancer. Some research shows that there is a potential that avocados can reduce the risk of both breast and prostate cancers. Although there is some research available on cancer preventive qualities of the fruit, future research is required to obtain more conclusive results. 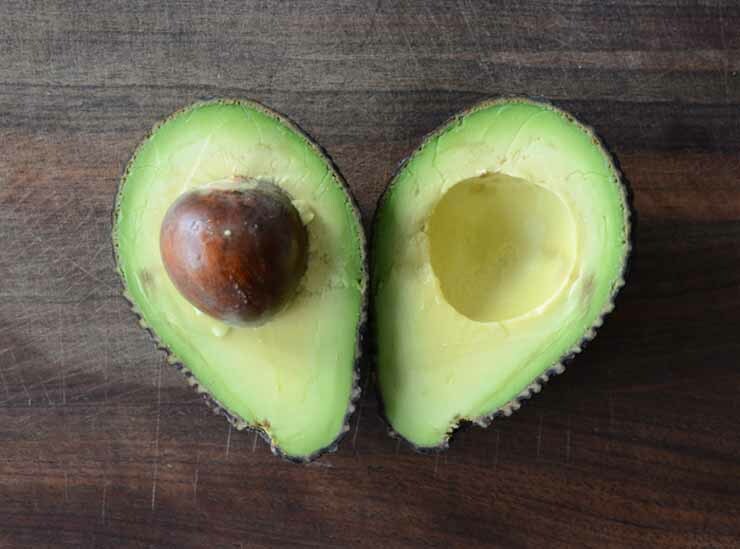 There are some nutrients (carotenoids and lutein) in avocados that can help to slow age-related ocular decline and prevent vision dysfunction. Also, the same nutrients protect our skin from UV damage, making it smooth and healthy. Since avocados are an excellent source of potassium (actually even better than bananas), they can be helpful in lowering high blood pressure. Potassium is essential in the human body, along with sodium, it regulates the water balance and acid-balance in the blood and tissues. Thus, for most individuals with high blood pressure, increasing potassium intake is a much more reliable way to lower blood pressure than decreasing the intake of sodium. Potassium is also vital for healthy growth and for building muscles. Avocados are incredibly nutritious, this particular fruit is a vibrant food, more like a nut than a grain. Although avocados are high in calories, they are very high in most of the B vitamins except B12, being particularly useful in folic acid. They also have some vitamin C, reasonable amounts of vitamin A, and vitamin E.
As you already know, avocados are rich in potassium. Also, they have a right amount of other minerals, including magnesium, iron, and manganese. For vegetarians who do not eat a lot of fatty foods, avocados may be a good source of needed oils. Besides being so healthy and nutritious, avocados are also delicious and go well with different foods. They are commonly used in salads, dips such as guacamole, in sandwiches, stuffed with seafood, as spreads on your morning toast, or merely plain on its own. When choosing an avocado, aim for a heavy fruit with unbroken skin. The fruit should yield to gentle pressure without denting. If it dents, it is overripe. Leave unripe avocados on the kitchen counter for a few days and they will be ready to eat! Ripe avocados will keep for four-five days in the fridge. Unripe avocados will never ripen if you put them in the refrigerator. The flesh is the part eaten, the seed and skin should be discarded. Once cut, you can sprinkle the flesh with lime or lemon juice to prevent from turning dark. Enjoy!